Who doesn't want to have an awesome poster of their favorite HPI Racing kits in their workshop or bedroom? We want you to get the most out of your RC addiction, so now you can print out and hang up posters featuring your own car or the HPI cars and trucks you want to get in the future! Many existing HPI kits have their own poster designs that are ready to print out, so you can put up as many HPI kits as you like! You can also use the poster as a wallpaper for your tablet or desktop computer! 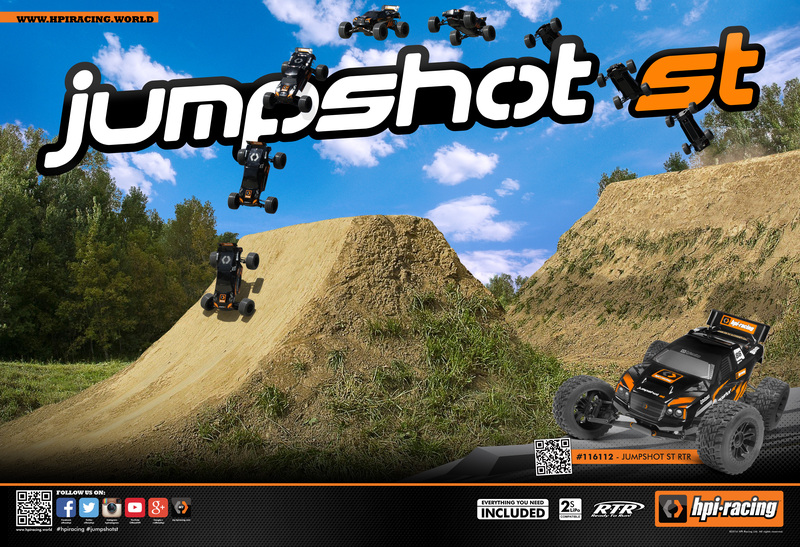 Click here to download the New HPI Jumpshot SC poster! 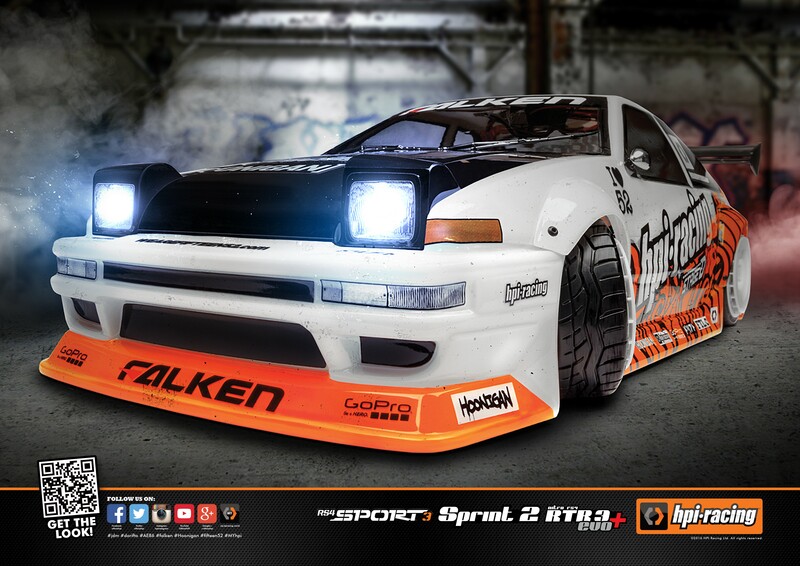 Click here to download the HPI Custom Drift poster! 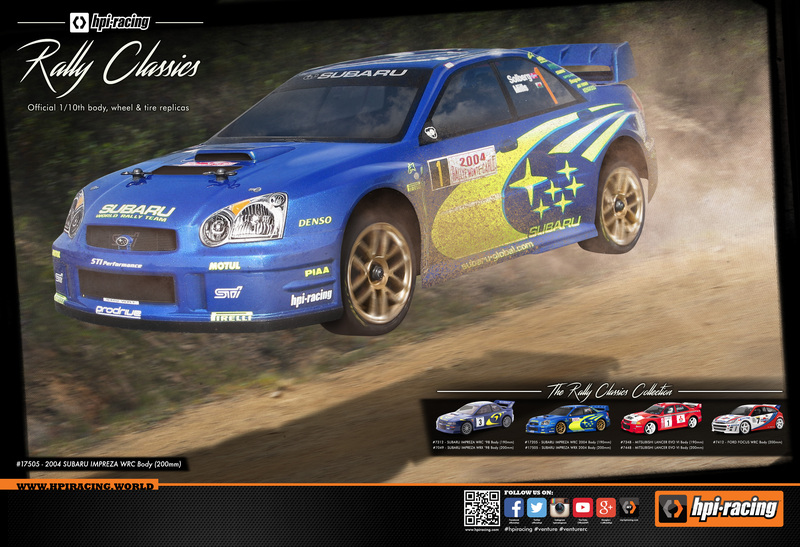 Click here to download the HPI Rally Classics poster! Click here to download the brand new Sport 3 poster! 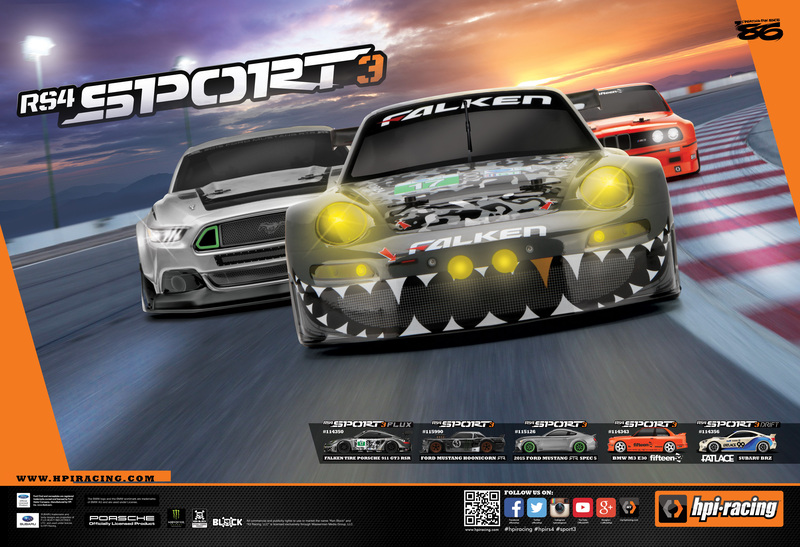 Click here to download the RS4 Sport 3 Mustang RTR Spec 5 poster! Click here to download the Savage XS Flux Ford Raptor F-150 SVT poster! Click here to download the Crawler King Ford Raptor F-150 SVT poster! Click here to download the Ken Block 'Intergalactic' poster! Click here to download the Bullet range poster! Look out for more posters for your favorite HPI Racing kits in the future!